Our Service Corps is hard at work completing their first service projects of the year. 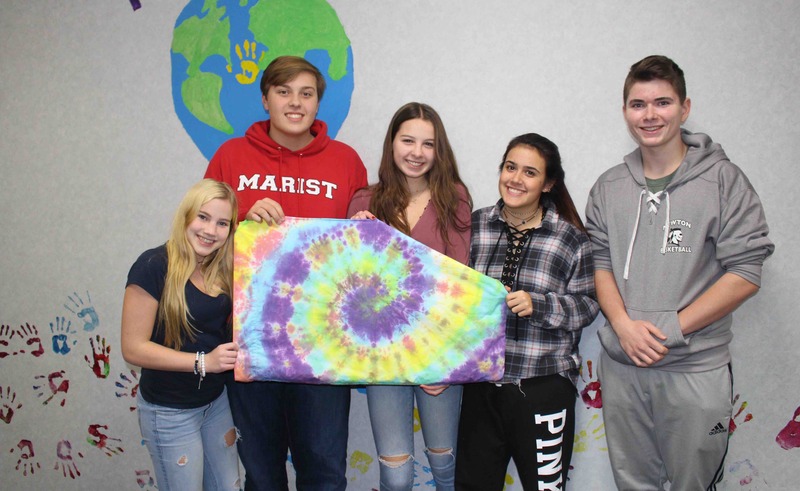 Starting in November, the teens were broken up into teams of four or five and were tasked with creating a service project to help the community which has to be completed by the end of February. Service Corps is a highly motivated group of teens who are committed to serving at a deeper level. Service Corps teens meet on a weekly basis and help to research, plan and administer major service events during the year. The first group to complete their project, group 1 hosted a table for kids at the annual Family Promise Christmas Party! There were crafts, coloring, letters to Santa and Christmas cookie decorating. They were the hit of the party and were joined by other Pass It Along teens to make it a night to remember, including a visit from Santa! Starting next week, this group will meet with both goLEAD groups to lead them in a night of various activities inspiring bonding and self-discovery. Stay tuned for updates! Group 3 has taken their project to the next level! After deciding to work with teenage mental health, they started Happy Cases. The goal is to make care packages full of different items such as tie-dyed pillow cases (for a touch of comfort), journals, socks, coloring books, etc, that will help those that are in the Carrier Clinic based in Montgomery, NJ for almost 18 months. To date, they have raised $6,640 through GoFundMe! They will be helping over 90 teens currently receiving care and hope to bring a little love and fun into their day. Group 4 will be working with SCARC right here in Sussex County! They will be hosting a night of fun, complete with board games, a movie, snacks and more! Inspired by all the GOOD happening in our community, Group 5 has chosen to create a video highlighting all the positive happening in the world. The video, which will take a few months to complete, will include interviews from local students and community members. We can’t wait to share it with you! Wanting to work with youth, Group 6’s project will include care packages for the kid’s emergency department at Newton Medical Center. Each care package will have a stuffed animal, a coloring book and some crayons. To donate and get involved with their project, click here. Group 7’s project is a nursing home game night! Hosted at a local nursing home, they will bring a night of fun to the residents. Stay tuned to see who wins bingo! This post will be updated as projects are completed, so check back to see progress!